In a lecture at the FAMU Center for Viticulture in Tallahassee, Florida, Dr. Don Huber, Professor Emeritus of Plant Pathology at Purdue University, shared his 55 years of experience working with agriculture management practices here in the U.S. and around the world. One only has to look at the graphs (Dr. Nancy Swanson) which clearly depict a rise in modern disease that mirrors the use of glyphosate in our agriculture system to see the correlation. In addition to the rising rates of cancer, Parkinson’s, diabetes, bowel disorders, intestinal infections, dementia, liver and kidney disease, by the year 2025 it is predicted that the autism rate for children will be 1 out of every 2 children born. Horrifying is indeed the right descriptive. 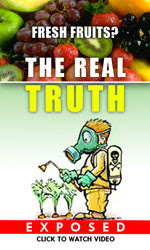 Contrary to the common claim of safety, a large volume of peer-reviewed scientific information clearly demonstrates that genetically engineered products and the Roundup herbicide that 85% of those products were engineered to tolerate are chronically toxic to human and animal tissues and lead to cancer, premature death, kidney and liver failure, blood disorders and a host of other diseases including Morgellan’s Disease which was nonexistent prior to the use of glyphosate. Glyphosate was made in 1964 as a strong metal chelator. In 1970, it was patented as a herbicide. In 2000, it was patented as an antibiotic. 85% of our genetically engineered crops are engineered in order to accept RoundUp herbicide with glyphosate as its primary agent. The irony is that the promise of higher yield, lower cost crops are empty promises. Reduced root growth, lower nutrient density, greater stress susceptibility and the need for more pesticides are well documented. Sugar beets, for example, require 4X more fungicide after using glyphosate. Soybeans require 2X more water to grow. The crops grown are weaker, more susceptible to disease. It is estimated that if not for federal subsidies (crop insurance) last year, 20% of American farmers would have been bankrupt. The potential economic impact is devastating on many levels. In two years, we may not have any market for our soybeans in China. The number one reason our exports are rejected today is excessive glyphosate. The number of countries around the world who are refusing to buy our exports is steadily growing. While 65 countries around the world currently will not accept our GMO crops due to safety concerns, our own country has no such system in place. Instead, States are fighting one by one to at least have labeling laws in place for their citizens. Here in Florida, Representative Michelle Rehwinkel Vasalinda (Dem) filed the first bill of the 2014 session, House Bill 1, on August 15, 2013 concerning labeling genetically engineered foods (link here). Representative Kathleen Peters (Rep) from the Pinellas County, Florida, is co-sponsoring the bill. Representative Vasalinda was on hand at Dr. Huber’s lecture and stressed the importance of letting our elected officials know how we feel about this issue. She said that it was due to the 1,500+ petitions she received that she even tackled the issue of GMO labeling. Our voices do count, but we have to speak up. Contact your Representative and let him/her know you want this bill to be on the Agenda. Go to the Florida House of Representatives website (www.myfloridahouse.gov) to find out who your legislators are, and to follow House Bill 1 and committee meetings. It’s much more than a political issue, it’s a serious matter of public health–not just for this present generation, but for generations to come. Rhonda Burns is the Public Education Coordinator for the North Florida Spine and Wellness Institute.